Compare our ground-breaking prices with other inventory service providers and you will find we are without doubt leading the way in affordable inventory management. We pride ourselves in the quality and detail of our comprehensive reports of fixtures, fittings, condition and cleanliness (click for sample below). We don't dilute our services because of our low prices...just ask our existing clients. In fact, our price comparisons have shown our approach makes us between 23% and 45% cheaper than two of our cheapest local competitors. What's the difference between an 'inventory and 'check-in' report? An 'Inventory' report is a detailed description of each area of the property and it's fixtures and fittings (carried out when the property is vacant). For instance, an inventory for a property entrance might say: "Mahogany painted wooden door with brass effect letter box flap, brass handle and Yale type lock". The 'Check-in' report is perfomed on the day the tenant moves into the property. The condition and cleanliness of the areas described in the 'inventory' report are recorded and agreed by the tenant. For instance: "Brass handle worn, screw missing and jams when opened". In addition, meter readings, appliance manuals and keys are recorded and photograhped. We also offer a host of free after-sales services. Why do I need a 'Check-in' report once I have an inventory done? The 'Check-in' report relates to the cleanliness and condition of the property at the point a tenant moves-in. The inventory outlines the description of the property, its fixtures and fittings. Therefore, it isn't possible to have a 'Check-in' without a supporting inventory. Although, it's most cost-effective for these reports to be carried out on the same day. The check-out compares the condition at the end of the tenancy to that on the inventory and check-in reports. All rooms in the report will have a summary, photographs and detailed descriptions of any changes that have occurred in the property. 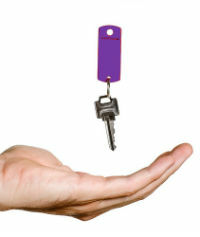 We highlight all the differences for either the tenants/landlords attention (maintenance) or to "fair wear and tear". The report also notes final meter readings, compares keys returned to keys provided at the start of the tenancy. 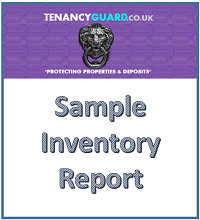 * Interim report price only applies to properties whereby Tenancy Guard has completed an initial 'inventory' report. Cancellations: Inventory inspections cancelled on the day of the visit will incur the full fee. Inventory inspections cancelled after 12pm on the day prior to the visit will incur a fee equivalent to 50% of the full fee. Inventory inspections cancelled before 12pm on the day prior to the visit will incur no fee. Extra Areas: Our prices are made based upon the following assumptions: One Bathroom; One Toilet; One Kitchen; One living area. Additional rooms will incur a separate charge and can be discussed. Furnished/Unfurnished: The 'furnished' prices make the assumption that the property is lightly furnished for rental purposes. If the property is heavily furnished, Tenancy Guard Ltd reserves the right to increase the charges accordingly (based upon the extra time incurred). Typically, this occurs when there is a large amount of utensils in the kitchen, when there are ornaments or a large amount of furniture in the house. Of course, in these instances we will highlight the need for extra time prior to completion.